Simple 2-stitch cables form concentric diamonds on a honeycomb background in the Roelle Gloves. The back of the glove features a rib-filled diamond for additional elasticity. 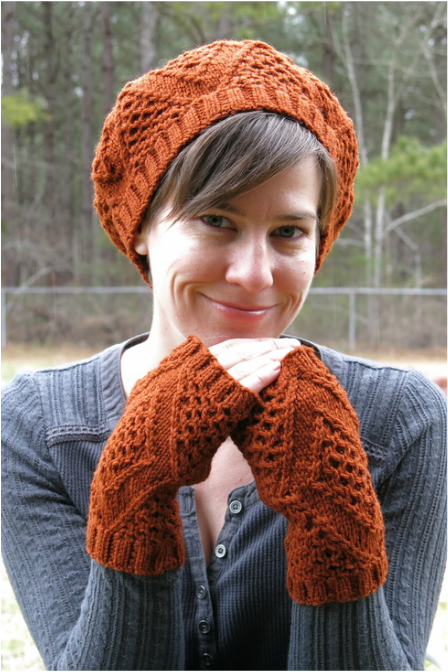 A classic worsted weight yarn makes the Roelle Gloves a fast and fun knit. Stitch patterns are charted and written.